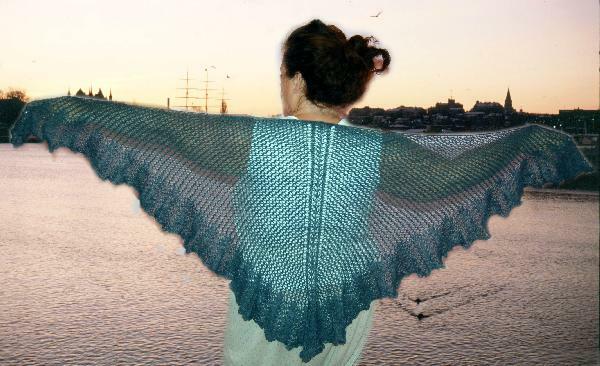 Knit from the center back neck down, the shawl is bound off in a simple seafoam lace edging and the top is finished with I-cord. 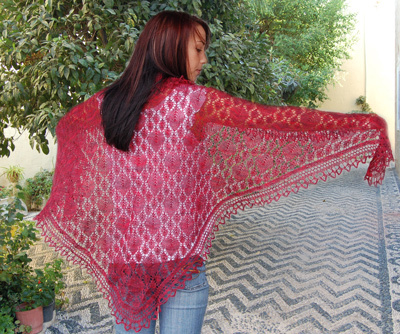 Shawl is photographed in Helens Lace by Lornas Laces. (50% silk, 50% wool). 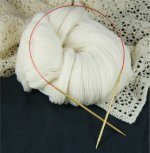 Yarn requirements: 1180 yards of lace weight yarn.